A fantastic final quarter performance saw Cardiff Blues come from 11 points down to secure their second Guinness PRO14 victory of the season, in a match defined by powerful running, big tackles, and numerous TMO consultations. The Blues went into this PRO-14 clash with a degree of confidence, having comfortably dispatched a defensively poor Munster side the week before. 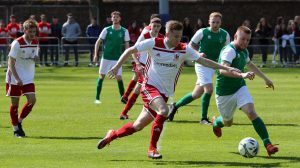 Head Coach John Mulvihill was determined to turn this early poor form around and, in his pre-match notes, called for a further increase in physicality and intensity from his players. It was a nervy start for the Blues, as Anscombe’s kick-off sailed straight into touch, and despite an early thumping tackle from centre Rey-Lee Lo, it was the visiting side who looked dangerous, moving the ball well across the field. This early Cheetahs pressure was ultimately rewarded with a penalty. Minutes later, Cardiff were awarded a penalty of their own, but Anscombe also failed to hit the target from just outside the Cheetahs’ 22. 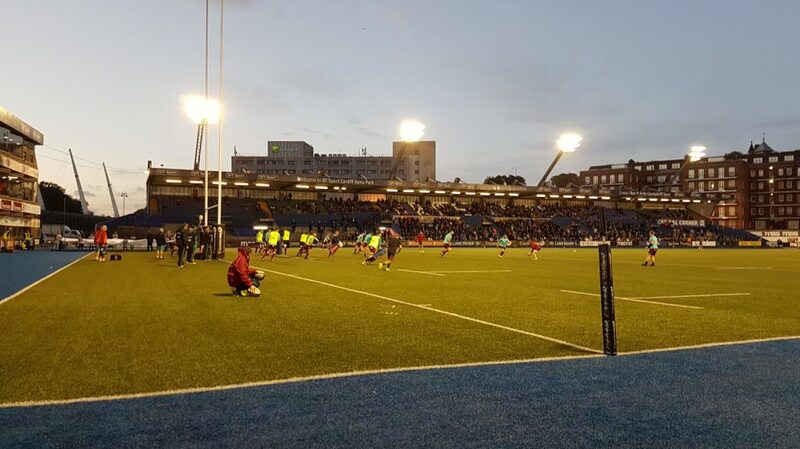 Buoyed by the 6,000 strong crowd inside Cardiff Arms Park, the Blues began to grow into the game, meeting Mulvihill’s expectations with an immense physical display both at the breakdown and in the scrums. 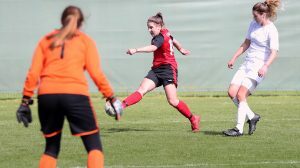 However, whilst the name of the game in midfield was attrition, both sides also began to demonstrate some attacking flair, with Lane and Anscombe linking up well with some neat passing, whilst the aforementioned Eksteen also proved a handful with some surging runs at the Blues’ defence.  Edging deeper into their opposition’s half, Cardiff began to pile on the pressure, sensing a breakthrough was close, and they nearly found it from an unlikely source. Loose head prop Rhys Gill smashed his way through the opposition’s defence, only to be pulled back metres from the line, before the ball was lost. Despite Anscombe running the show with several searching dinks and lobs, the Blues were struggling to deliver the final product. This failure to capitalise on their chances would come back to punish John Mulvihill’s men mid-way through the second half. The Cheetahs’ half-back duo of Meyer and Schoeman exchanged a series of quick passes that prompted a surging attack, and ultimately resulted in a penalty when Josh Turnbull was caught offside. The South African outfit opted for a kick into touch, and whilst the ball initially looked to be spilled from the resultant lineout, Walt Steenkamp managed to gather up the loose ball and cross the line, with the try being rather fortunately converted by Schoeman via the post. Now seven points down, the Blues desperately looked for an instant reply, with Turnbull and full back Matt Morgan both making heroic breaks forward, only for the ball to be knocked on, or lost into touch, from the resulting passages. Frustration was etched on the faces of players and spectators alike, but after 25 minutes, the dominant Blues finally got the points they deserved. Gareth Anscombe’s searching grubber kick was poorly dealt with by Eksteen, and the ball fell to the electric-heeled Lee-Lo, who bundled over the line. Whilst television replays suggested that the Samoan had knocked the ball forward, a lengthy TMO review deemed the try to be legal, and Anscombe had no problem with the conversion, levelling the scores in the process. The Blues were determined to go into half-time ahead, and as the first half entered its closing stages, they demonstrated some fantastic attacking rugby, with Olly Robinson breaking away down the left-wing, almost picking out Jason Harries, who would have backed himself to score. Anscombe also tried to get in on the action, as he sliced through the Cheetah’s defensive line with incredible ease, but was once again hauled to the ground as he sped towards the line. Minutes later, a pass pinged out to the right wing just got away from Owen Lane, in a move that summed up the Blues’ first half; fantastic build up, but sloppy in the final passages. However, the hosts were granted a deserved half-time lead, as they won a penalty in front of the posts, 25 metres out, and Anscombe simply slotted the kick right down the middle to make it 10-7 at the interval. After the break, the Cheetahs were quickest out of the blocks, forcing the Blues to concede two penalties within quick succession, although no points followed for the visitors. Minutes later, however, the giant 6’8” frame of Jean-Pierre du Preez penetrated the otherwise solid Blues defensive line, and after a couple of rapid offloads and a searching grubber kick forward, Sibhale Maxwane managed to get a hand to the ball over the line. Again, questions were raised over the legality of the try, with the downward pressure applied to the ball by the winger appearing minimal, along with the pass to du Preez in the build-up looking forward. After another lengthy TMO consultation, however, Clancy gave the try, enraging the home supporters, who clearly thought it should not have stood. With the Cheetahs now four points ahead, the Blues were noticeably rattled, and made a number of replacements both in the backs and forwards. However, this was ultimately not enough to stop the constant barrage of pressure from the South African side, who pounced on a loose ball after some sloppy Cardiff passes, to find themselves one metre short of the try line. A big defensive effort from replacements Myhill and Thyer was enough to keep the Cheetahs out initially, but at the second time of asking, Benhard Janse van Rensburg raced over for his side’s third try of the night. Unsurprisingly, there were calls for the TMO from the disgruntled home crowd as, once again, a pass in the build-up appeared to be slightly forward, but these were to no avail. By now, the Blues were really up against it and, eleven points down with only 20 minutes to play, knew that going on the offensive was their only choice. 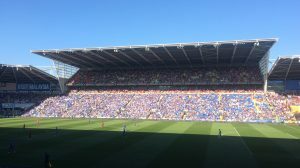 The crowd recognised this, and Cardiff Arms Park became a cauldron of noise as they urged their side forward. The home team responded immediately, with Anscombe, Robinson and captain Ellis Jenkins all desperately trying to puncture the opposition’s defence, before replacement Lloyd Williams managed to snake his way through to pull one back for the Blues. Anscombe’s boot delivered, and suddenly the momentum shifted once again in Cardiff’s favour. With the wind in their sails, and the deficit reduced to just four points, the Blues edged forward, winning a penalty on the halfway line, and finding touch just inside the Cheetah’s 22. The resultant line out was followed with a huge driving maul, which allowed Olly Robinson to bundle over the line to put the Blues ahead, before Anscombe increased their lead to three with ten minutes to go. However, Cardiff were clearly not content with their slender lead, and in the closing moments of the match, launched a sustained assault on their opponents’ defence, with Jenkins charging down an attempted clearance, only for the ball to go dead, before Harries, Lee-Lo and Turnbull all made big carries as they searched for the killer try. As the clock went red, a pick-and-go off of a lineout from the Blues’ forwards saw them hover over the try line, but through the bundle of limbs, Clancy judged the ball to be held-up, and blew for full time. Whilst their South African counterparts really made them work for it, the Blues put in a disciplined and hugely physical performance, with their attacking play looking extremely threatening at times. With Cardiff now winning back-to-back PRO14 matches, Mulvihill will be hoping that his side can carry this sudden good form on further into the season.